Hi, I am Jonas from Germany and there is nothing I like more than going on big adventures and pushing myself to my limits. In 2017, I became the first person to cross Eurasia by human power and set the World Records for the fastest cycling across Europe and Eurasia. In 2018, I had set myself an even bigger challenge and cycled the entire length of the Americas, unsupported in a record breaking 97 days. Currently, I am training for an even bigger challenge, it is going to be wild, tough and a fantastic adventure. When at home, I work as a motivational speaker and have shared my stories and techniques with companies, business clubs, schools and at events. Book me for a speech! Join me on an adventure! Join me on an biketour and learn about adventure and training. 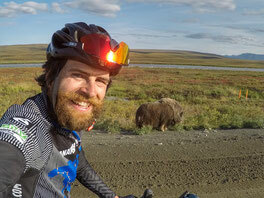 I have set world records, cycled around the world and went on numerous epic adventures. Get inspired by some stories. 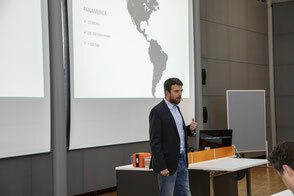 I have shared my stories and motivational techniques with companies, business clubs, NGO´s and at events. Book me for a talk.